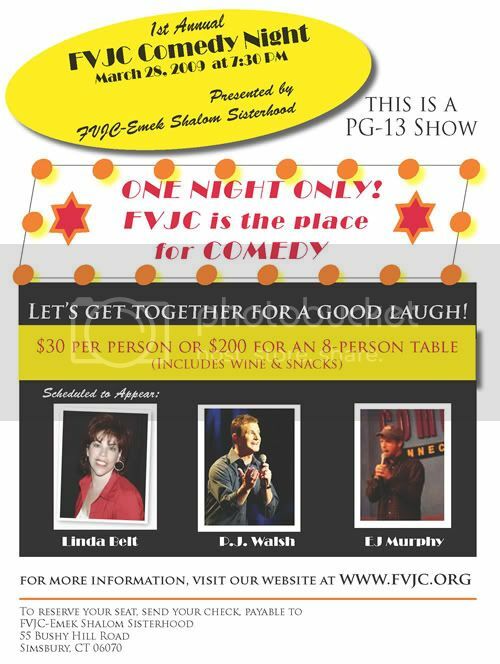 ECPO Presents the 2nd Annual Comedy Night Saturday, February 28. 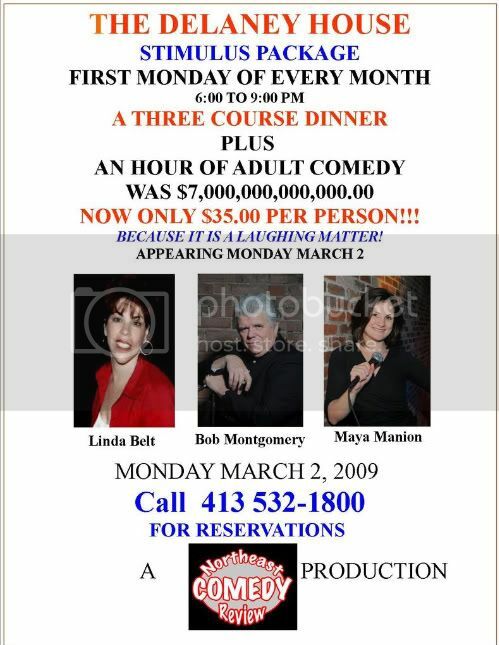 2009 Occasions in Village South Plaza 437 South Street West Doors open at 7:00 p.m. Dinner from Johnny Macaroni's and a Comedy Show $25.00 per person This FUN filled night is packed with friends, delicious food and lots of laughs! Get your tickets early. Seating is limited, and this show will sell out! This is an evening of entertainment for the parents, but all the proceeds go to our children. Fundraiser for pre school located in Temple Har Shalom. 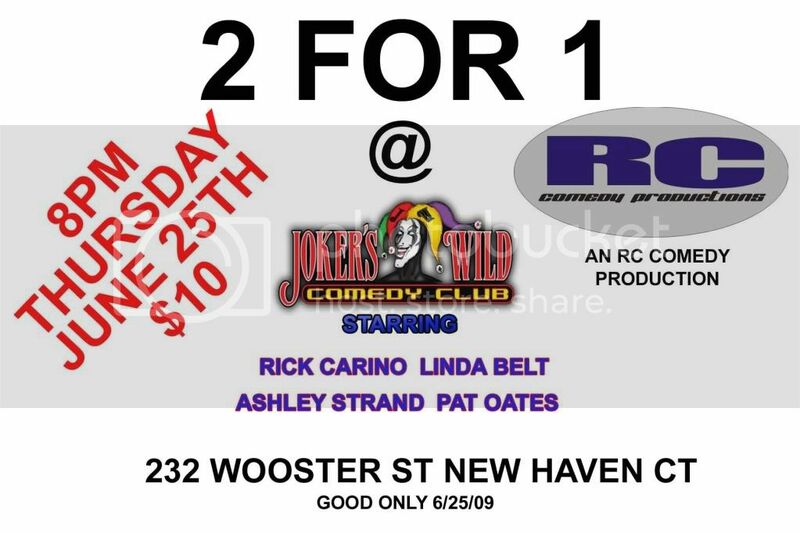 Adult comedy night. Also preforming will be Joe DeVito. 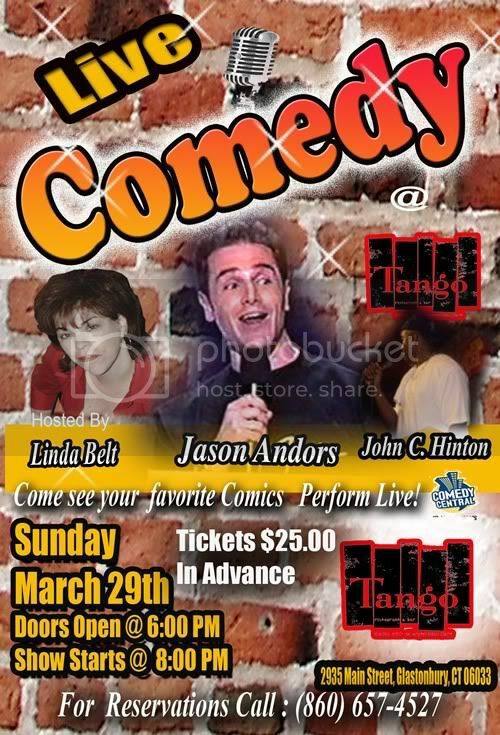 call Marlborough Tavern (860) 295-8229 or visit http://www.funnymoneycomedy.com/ for more information. pvt party- who needs fireworks? 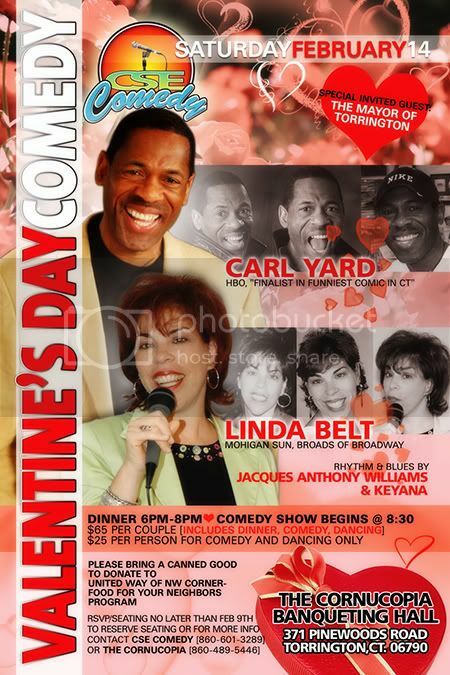 Call restaurant for info (860) 257-0700 for info. 617-499-3380 or check the website at the show link above. Please call for time and reservations. 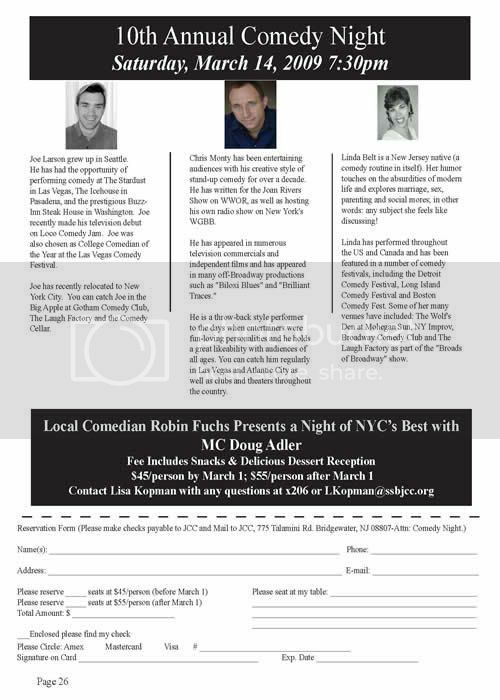 Hilarious A-list comedians, delicious free hors�d'oeuvres (at the silent auction)�. ticket = 20.00 Gold, 35.00 Platinum*. Knowing you�re helping others to laugh and ease their mind = priceless! 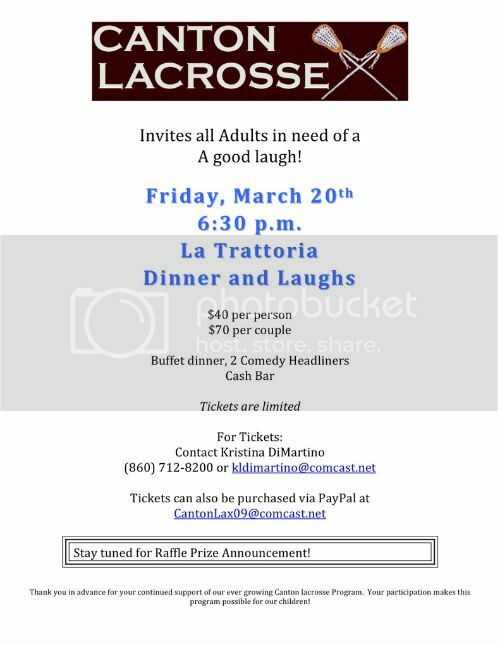 At the live benefit show and silent auction to be held in October, you�ll get the chance to laugh and do some good by helping others enjoy the benefits of laughter therapy. Call 203-439-9161 for more info or to reserve a table. open to the public...its a benefit to help Art DiCata. Was paralyzed in a car accident Dec 5th. All proceeds from ticket sales will go to Art and his family. Tickets are $15. 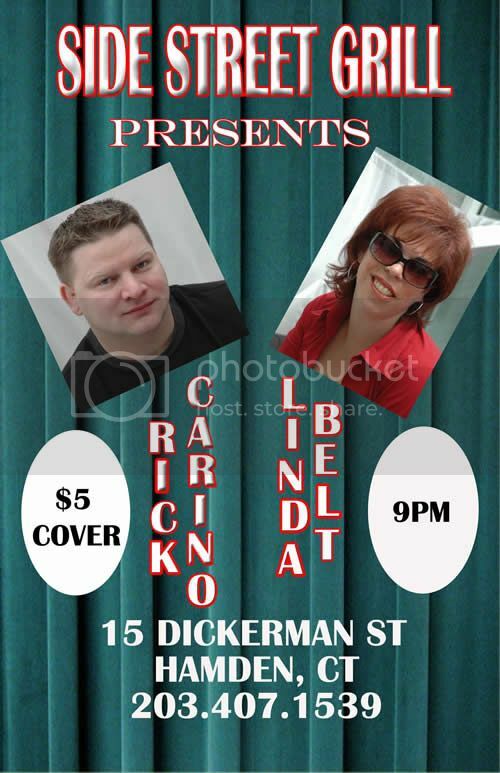 Show starts at 8pm Thursday Dec 17th.